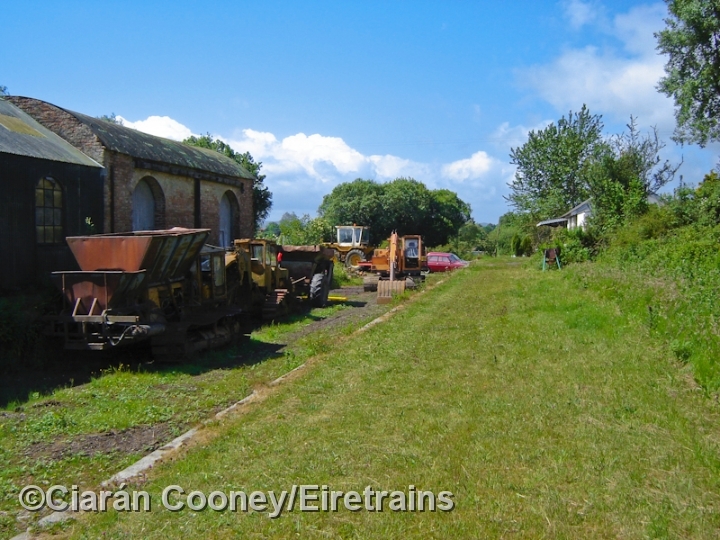 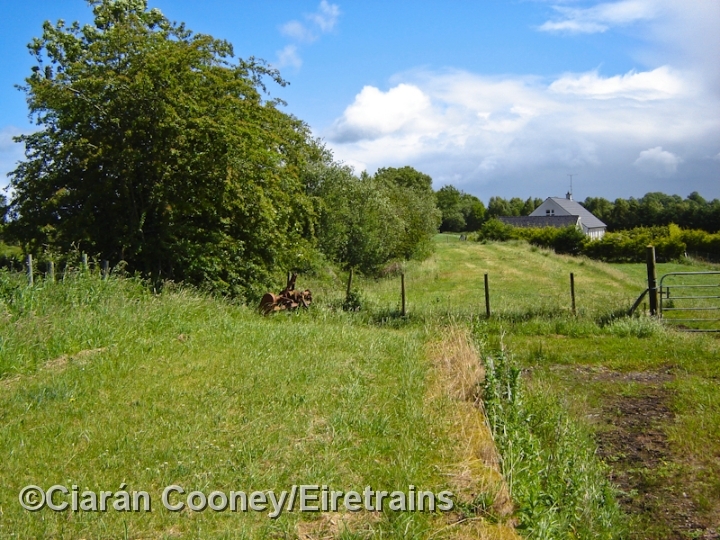 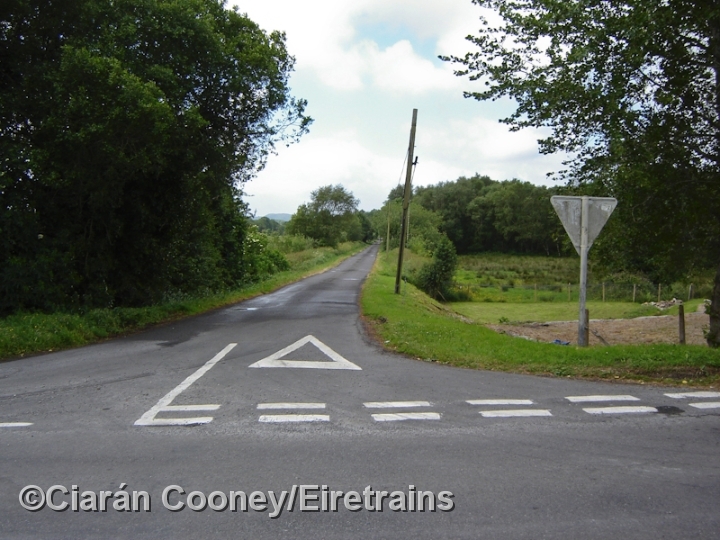 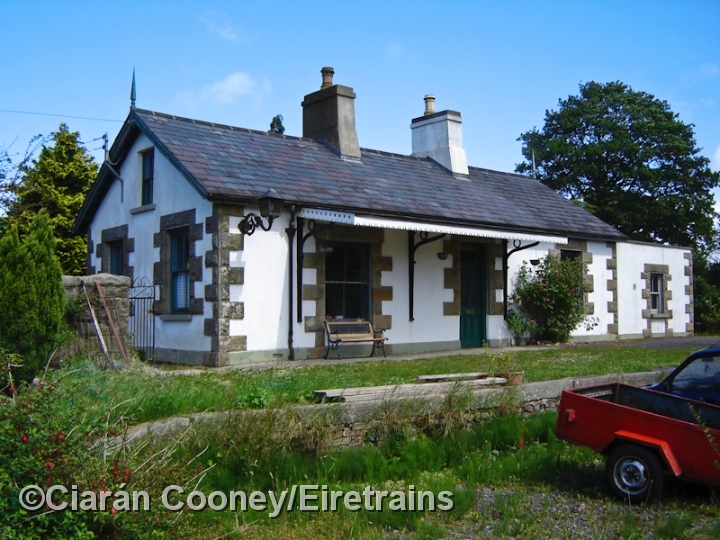 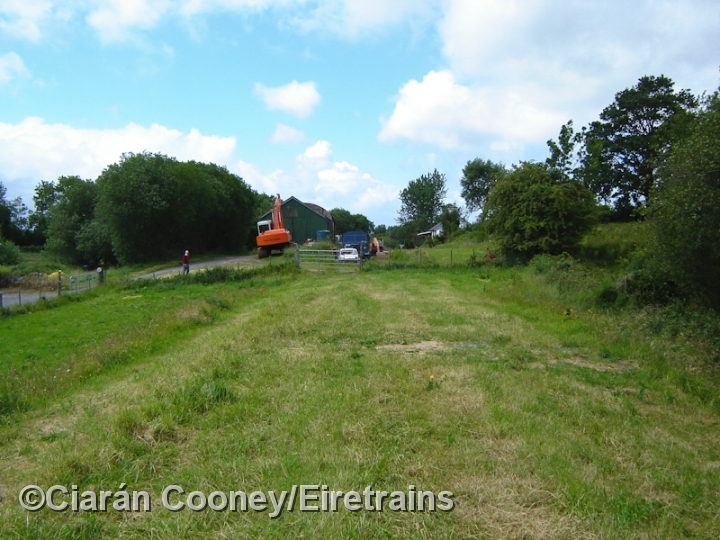 The small village of Florencecourt, Co.Fermanagh, was served by the former 1881 built Sligo Leitrim & Northern Counties Railway line, which ran from Enniskillen to Sligo. 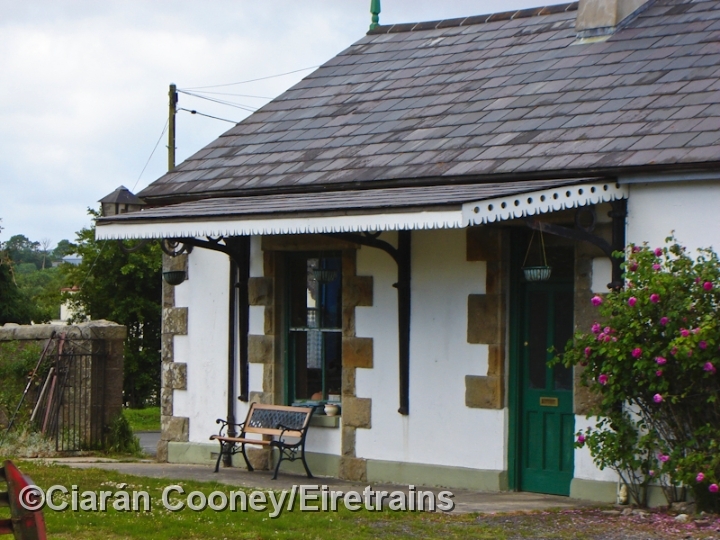 Florencecourt Station is the first stopping place west of Enniskillen on the SLNCR line. 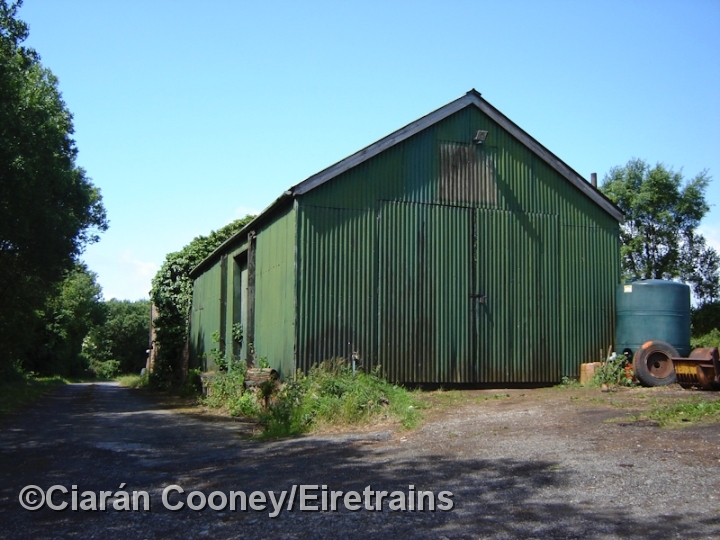 The typical single storey SLNCR station building retains its canopy and single platform. 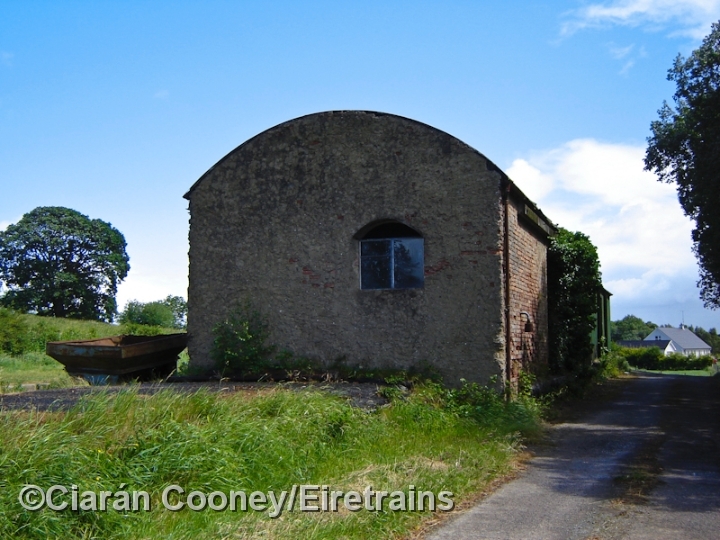 The platform opposite it serves the brick built goods shed, which in later years handled tar and bitumen traffic. 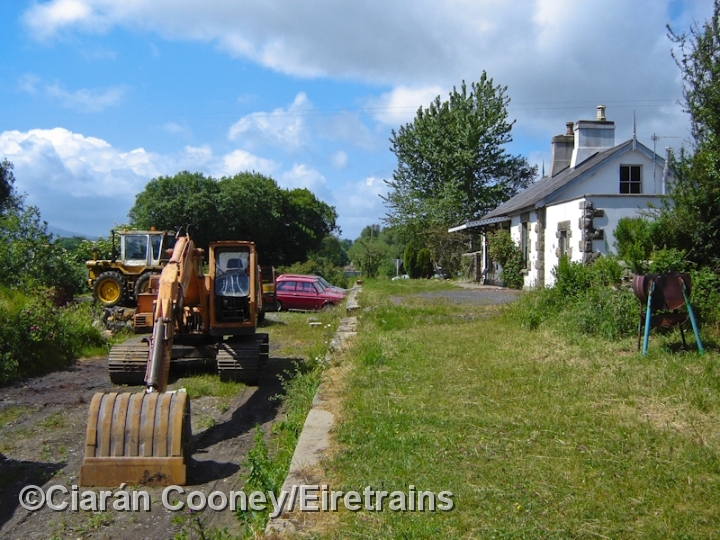 The only building missing from Florencecourt is the typical Saxby & Farmers signal cabin, which appears to have been demolished, it was once located adjacent to the level crossing. 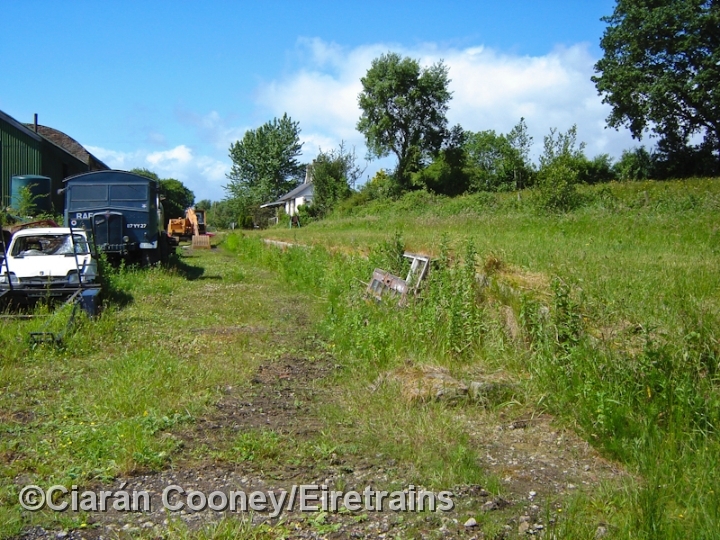 Unfortunately the SLNCR line closed in October 1957, and the line was lifted by the end of 1959.